This guest post comes from Andrew McGregor, who recently received his Ph.D. in history from Purdue University. McGregor's research focuses on the intersection of sports and politics, and he is the founder of the Sport in American History blog. You can follow him on twitter (I recommend it). 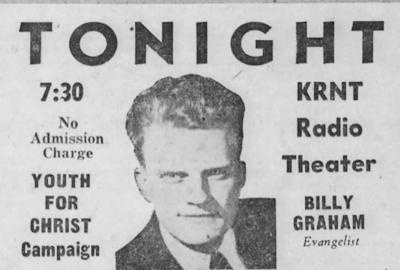 During the 1940s and 1950s, Oklahoma City referred to itself as the “Capital of the Bible Belt.” As its civic leaders hoped to brand the city a “businessman’s town,” as Milton MacKaye wrote in the Saturday Evening Post, they remained grounded in their plainspoken, folksy, religious outlook. This was one component of a larger effort to rebrand both the city and state while also rebuilding its economy during the postwar era. Oklahoma, more than most states, suffered a significant population decline during the Dust Bowl and was further defamed by the derogatory images of the state projected by John Steinbeck’s The Grapes of Wrath. My research explores the central role of college football in the process of building a new Oklahoma. 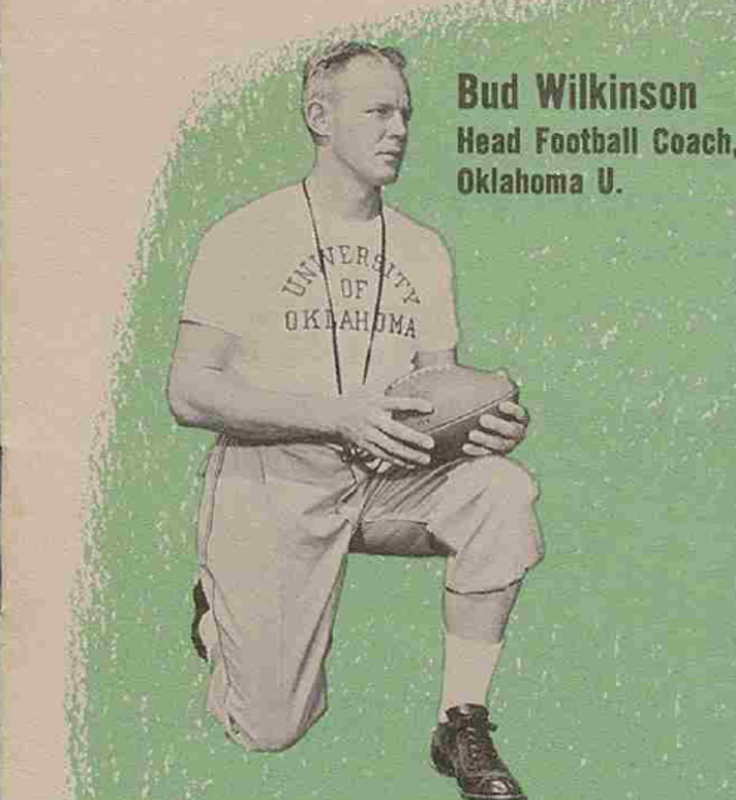 Bud Wilkinson’s captivating personality, involvement in politics and television, and success leading the University of Oklahoma football team personified much of this period. He intermingled with Oklahoma City’s business elite, befriended governors, senators, and presidents, and presented himself as the quintessential 1950s family man. Indeed, civic boosters often highlighted Wilkinson and the Oklahoma football team as natural resources alongside the state’s rivers and lakes. By focusing on the humanity of Oklahomans and the unprecedented sporting success that they achieved, university, state, and civic leaders used college football to help undermine Steinbeck’s negative “Okie” stereotype. They used the team, especially their 31 and 47 game winning streaks, to assert that Oklahomans were tough, hard working, disciplined, and decent people with wholesome American values, such as faith, loyalty, and patriotism. The discourse of sport and the attending cultural significance of college football during the early Cold War period permitted it to serve as an important realm where Oklahoma could alter its image and reputation. Though I largely leave out religion in my dissertation, it is certainly part of the story of the “new” Oklahoma. As Kevin Kruse and Darren Dochuk have shown, religion was a central part of mainstream American ideology during the 1950s. Engaged in the ideological conflict of the Cold War, the United States emphasized its religiosity in opposition to “godless communism.” In this environment the comingling of religion and the toughness of college football worked to present an idealized masculinity valued by political and economic leaders. The University of Oklahoma, located a mere 20 miles south of the self-claimed “Capital of the Bible Belt,” Oklahoma City, contributed to this creation in a couple key ways. First, during the fall of 1950, Oklahoma began each of its home football games with a prayer read over the stadium’s public address system. Community members lauded University of Oklahoma President George L. Cross for the school’s decision to incorporate the new tradition. Glenn W. Farris, Secretary of the Oklahoma City Chamber of Commerce, complimented the wording and asked for a copy to send to an unnamed Chicago sports editor in hopes that the editor “will write further about it and thus prompt other universities to follow your example.” For Farris, the prayer represented both wholesome values and good public relations. The prayer was not the only religious activity the University of Oklahoma engaged in nor was it their only attempt to use religion as a part of their public relations. In a memo to President Cross regarding public relations information, one aid suggested that they make sure to include the facts that Bud Wilkinson taught Sunday School and sang in his church’s choir in information they provided to journalists. As his fame increased amidst the team’s success, cultivating a wholesome image that appealed to everyday Americans and reflected their values mattered. 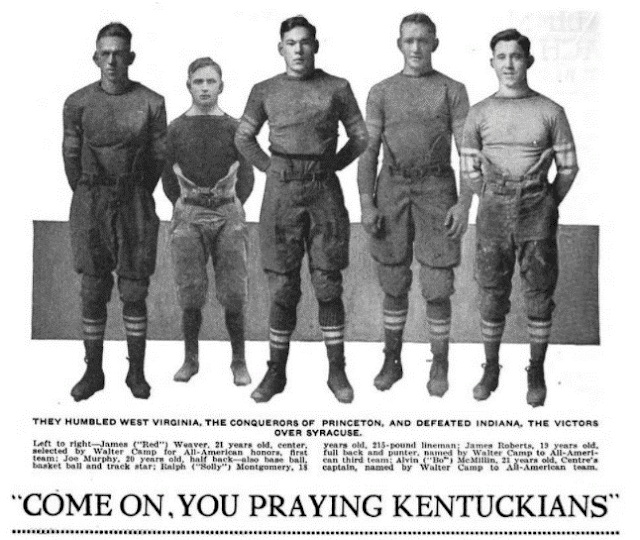 Indeed, Wilkinson’s popularity made him a coveted figure for the Fellowship of Christian Athletes (FCA). 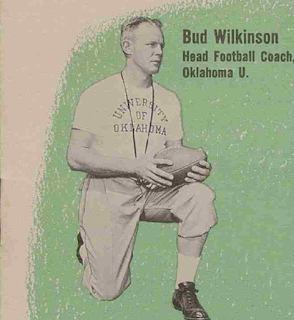 The organization, which began in Oklahoma in 1954, sought his involvement and included his image in their first promotional brochure. After the FCA’s first public event in 1955, which included a stop at the University of Oklahoma to speak with football players, an FCA speaker urged the organization to “hit that school again and again because they are the big name out there and a big name in the country." Freshman football coach and head wrestling coach, Port Robertson, was one of the FCA’s early supporters as well. He arranged for FCA representatives to meet with the entire 1956 Oklahoma football team, which won Oklahoma’s second-consecutive national championship and continued its record-long winning streak (which ended after 47 straight wins in November 1957). Robertson also encouraged the team to attend the FCA’s first national conference in Estes Park, CO. According to former Sooner, Chuck Bowman, Robertson “notified every player… that funds were available to send any player who wanted to attend…” Bowman notes that 10 players made the trip. While religion remains an understudied part of my research on the central role of college football in the political, cultural, and economic changes that created a new Oklahoma during the 1950s, as this brief post suggests, it certainly requires more attention. 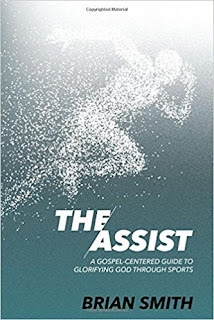 As I work to revise my dissertation, I’m hoping both Paul Putz’s work on the FCA and Hunter Hampton’s study of religion and college football can help me broaden this analysis. The historiographies of sport, religion, and Cold War America hint that there is more work to do.